Preparing for the new ICD-10 codes in your practice. 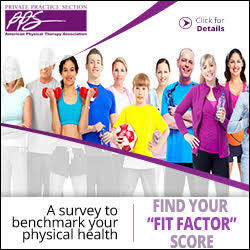 Many physical therapy private practices have already spent time switching from ICD-9 code sets to ICD-10 code sets, which are used to report medical diagnoses and inpatient procedures. Even though the deadline has been extended to October 2015, clinics should be financially prepared to deal with the change since American Medical News has reported that the average small practice could expect to spend $83,000 on the changeover. Most practices are challenged to understand where such costs would come from, but looking deeper into the information, therapists have realized the change to ICD-10 is more complex than first thought. With more than 1,100 pages in the new International Classifications of Diseases (ICD) book and nearly 70,000 codes in the new system, the sheer size of the change is massive—and the effects on physical therapy practices can be just as massive. First, there are direct costs associated with the change. The new codes do not match the old codes exactly, so it will not be a one-to-one switch from one code to another. For example, ICD-9 codes include four options for sprained or strained ankles, while ICD-10 codes offer 72 possibilities. You cannot simply replace an old code with a new code. The number of digits is different (three to five for ICD-9 codes and seven for ICD-10), so some software and forms will not accommodate the change easily. For instance, if a form has been written with only five spaces, it will no longer work and may also affect any other programs or systems using that form. Mapping issues will require human judgment. In order to be confident of payment, physical therapists will have to make careful decisions about which new codes to use. This means updating billing will not be a simple mechanical action; changes in forms and upgrades to software will be required, as well as staff time to learn and implement the changes. In addition, workflow will be impacted at every level. The new codes affect everything from clinicians’ notes to billing, meaning slower progress through the workday and a higher chance of error at every point along the way, potentially reducing efficiency, impacting profitability, and increasing the chances of an audit. The new ICD-10 codes may also increase the likelihood of non-payment or underpayment for claims during the transition period. In addition to concerns about cost and potential consequences for the transitional challenges, some big-picture issues can be expected. In any physical therapy practice, an owner’s time spent putting out fires presents an opportunity cost. Distracted from mission-critical tasks means lost time with patients, which can impede an owner’s ability to grow the practice, reducing his or her satisfaction with the practice. A smooth-running system is required to provide a strong foundation that can respond to, and even embrace, changes. A delicately balanced system is not secure, its stability easily threatened by one change. Practice management software can make a real difference in how the changes are managed. Practice management software is designed to automate the parts of a practice that work best when they are automated. Instead of trying to manage a practice by memory, a physical therapist who uses integrated practice management software can forget the daily basics and instead concentrate attention on more significant goals. Software packages will deal with ICD-10 codes differently. A solid physical therapy practice management software program enables a cross-walk between ICD-9 and ICD-10 codes directly in the billing screen. This means that a billing clerk can see the familiar codes and the new ones together. When the codes are clustered in logical groups, you can begin with a more general category and drill down into specifics, ending up with a limited choice that allows for a quick decision regarding the most appropriate code. A good software solution also shows directly on the billing screen whether a given payer is accepting ICD-9 or ICD-10 codes, so that the correct billing code can be chosen without the possibility of error. When reviewing practice management software packages, check to see how they are dealing with ICD-10 codes and make sure they offer a solution that suits your workflow. If your billing package requires a costly upgrade for ICD-10 codes and does not provide a solution to the problems, the upgrade might just be a new problem. If your practice has cobbled together a system using several different tools, plus paper and pen methods, this might be the perfect time to consider making a change. The extra complications of the switch to ICD-10 codes, plus a threat to the stability of your practice, make this a time to consider a change. Trying to upgrade all the separate areas affected by the change would take more resources than shifting to an integrated system, allowing your practice to function more smoothly during and after the transition. Other practices might consider outsourcing billing to address the changes. 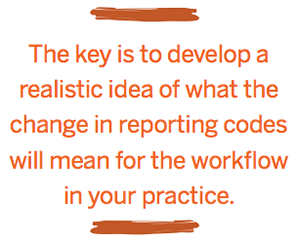 The key is to develop a realistic idea of what the change in reporting codes will mean for the workflow in your practice. 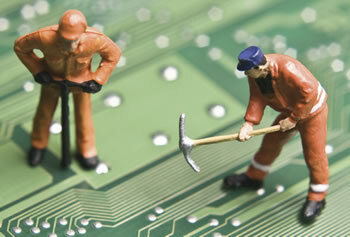 Then assess your current systems and determine how smoothly they will be able to weather the transition. You might consider expert support through the process. Yuval Lirov, PhD, is chief executive officer of Vericle. He can be reached at yuval@vericle.com. Kathleen Casbarro, CPC, is head of the billing SWAT Team at Vericle. She can be reached at kathy@vericle.com. Thomas Jorno, PSC, is the head of the Physical Therapy Excellence Center at BestPT. He can be reached at thomasj@bestptbilling.com.